Recently, I was asked to serve as an expert witness in a case where a catastrophic bolted joint failure led to severe, debilitating injury. The discovery phase, where information is requested and where people are deposed under oath, is a sobering, expensive and time-consuming process for all on its receiving end. I came to realize that, if considered before it was a required activity, product liability can serve as an excellent framework from which to review your processes and decision-making. 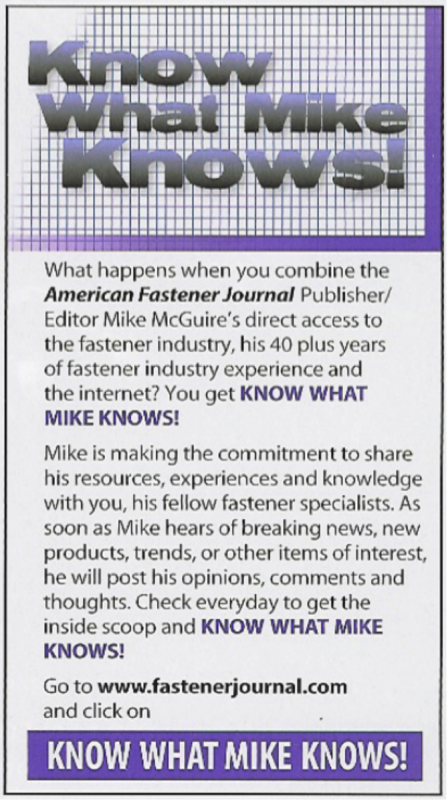 That is ask yourself the question, “How would I fair if all my business practices and decisions came under critical scrutiny?” And if you are a fastener distributor, as most of you reading this column likely are, this question does apply to you. Supplying components carries certain responsibilities, and the legal process has an ability to cast a wide net when questioning. Dave Archer is president of Archetype Joint, LLC, a provider of engineering and testing services focused on joint design and development. Dave founded Archetype Joint in 2004 as a natural progression of his experience in the development of efficient designs, having held senior consulting positions with the founding companies of the design for manufacture and assembly and the lean design movements. Dave previously held design and manufacturing engineering positions with major industrial equipment manufacturers and defense contractors. In addition, he has privded independent design services and has been named in several patents on products successfully introduced into the marketplace. A member of SME and SAE, Dave holds a bachelors degree in Mechanical Engineering & Applied Mechanics and a master’s degree in Manufacturing Engineering from the University of Rhode Island. He is interested in hearing from your and appreciates your feedback. 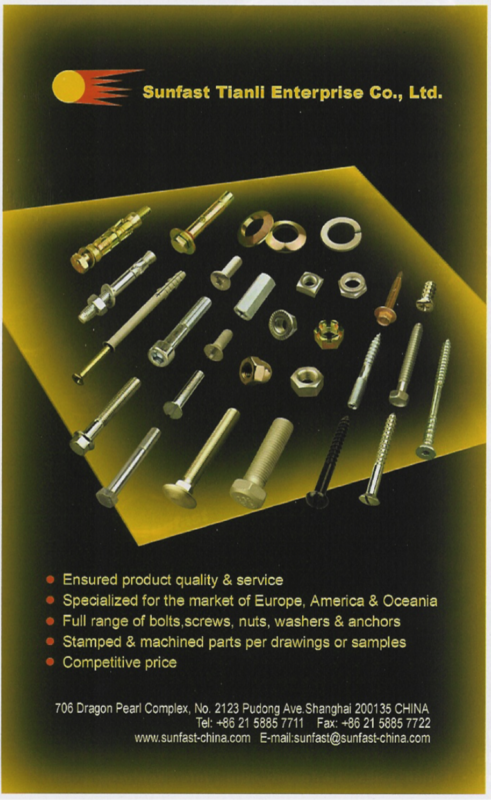 The first and most obviously responsibility of the distributor is to deliver to the customer the component that was requested, in all aspects of its specification: size, grade, finish, etc. While no delivery error is desirable, the errors that are not readily detectable can be the most dangerous. For example, while the incorrect nominal diameter or thread pitch probably would be discovered at assembly and not installed, the bolt that is 1/8” too short might not, and that reduction in thread length could compromise the joint. Even bolts that are slightly too long can have the same effect by raising the possibility that installation torque will be reached due to reaching the end of the thread rather than the desired clamp load. Of course, the most insidious errors usually occur when stocking or picking errors are not visually apparent but can have significant consequence on joint integrity. Supplying a washer of a lower grade than intended is a common example. Another less common but potentially dangerous example is supply a conical lug nut with the cone angle incompatible to the wheel’s nut seat. Even supplying fasteners with incorrect finishes can impact joint integrity by changing the torque-tension relationship, resulting in potentially harmful changes in clamp load or fastener elongation. The inventory control software most distributors have incorporated in their operation cuts down on human error, but it doesn’t eliminate it. Utilizing part numbers that integrate a code that provides size/grade/finish allows easier verification. More aggressive strategies, such as totally segregating grades or finishes in different stocking locations, only carrying one finish within a category, or ensuring that different grades or finishes have an obviously different appearance, may appear too extreme at first glance. However, some distributors’ sale profiles, this leaning out could actually benefit the bottom line. Have you ever visited your suppliers’ manufacturing facilities? Do you have a copy of their quality management system? How can you verify the product you receive meets the required specifications? Do you have the means of independently? The trend for distributors to provide a wider range of services to their customers from inventory control to application support is quickly becoming a minimum requirement to service even medium-sized accounts. While the application advice may be “free” to the customer, it could be very expensive for the distributor if a claim is made on a product that was influenced by that advice. This can be a particularly tricky situation for distributors because it is rare that all inside and outside personnel who could be asked for application advice have the depth of knowledge to provide educated answers. However, they probably all will want to be helpful. Consciously planning who will provide application support, the extent of that support, and how the interaction will be documented is time well spent. In closing, while luck certainly plays a role in whether a product liability action visits your door, you can certainly influence your luck by planning and preparation. The difference in deposition testimony between those who have considered the nuts and bolts of legal responsibility and those who haven’t is painfully obvious. I only hope to remind the reader, as I was reminded that these innocuous commodities we deal with every day, which are invisible to most people due to their abundance and their apparent simplicity, are in reality both patent and fickle in their influence and behavior.